Stuart Weitzman is synonymous with incredible footwear. Most notably, and particularly as we come into the cooler months, it's the boots we find ourselves coveting. A-listers are also massive fans, with the likes of Gigi Hadid, Kendall Jenner, Emily Ratajkowski, and Lily Aldridge often spotted wearing his creations. But what exactly makes them so popular? For starters, the designs are gorgeous and range from a cute ankle boot to thigh-high versions. They're also made to be the perfect fit, whatever your proportions. And thanks to the launch of the new guide that takes you through over 55 of the different styles, we guarantee you're going to find your ideal boot. Whether that's opting for the classic 5050 style or a pair of booties, the guide will help you decide on the height of the shoe as well as what kind of heel you're after, not forgetting your preferred colour, so that you end up with the ideal version for you. Keep scrolling to shop some of our favourite boots from the collection right now and where to find the boot guide. We'll be pinning these for sure. Just pair with a midi dress. Make like Gigi Hadid and wear these with a playsuit or mini skirt. Your frayed jeans are calling with these boots. Let your boots do the talking with a bright hue. 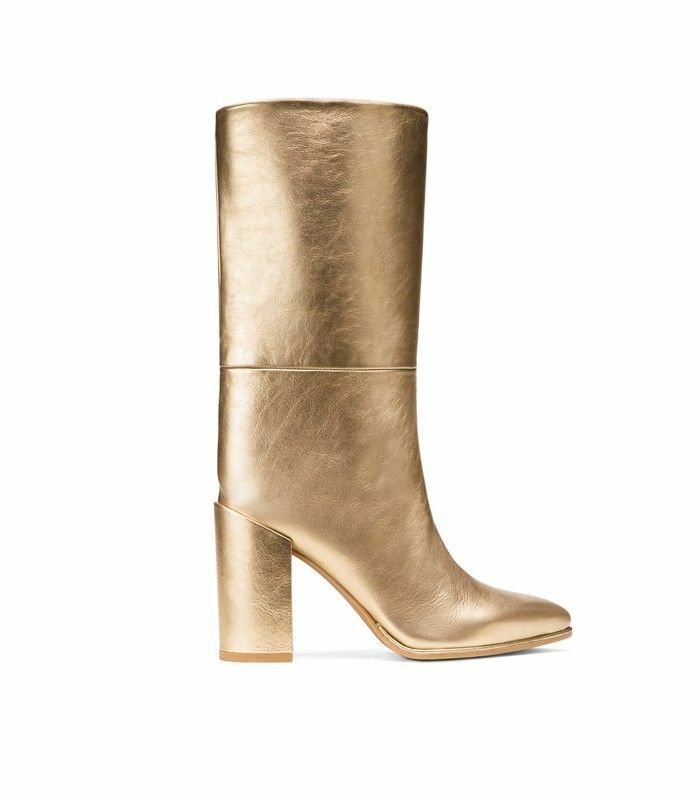 To find your perfect boot use the guide on the Stuart Weitzman website. Want to shop more boots? Check out this definitive guide to the 23 best ankle boots right now.